Insurance always appealed to me because I feel that I’m very good at connecting with other people and I truly enjoy the sales and relationship-management aspects of the business. It’s also as if the insurance industry was in my blood. My grandfather and my father were in the insurance business; both created their own businesses and were considered successful insurance professionals during their time. Their respective businesses differed, but our career paths have been very similar. When I founded Carrión, Laffitte & Casellas, Inc. with my partners, it was our goal to provide specialized service to a select group of Puerto Rican businesses. When we decided to sell our business to HUB International we did so because we wanted to provide our clients with a multinational platform, while also continuing to grow our business within our region and build a multinational broker. In the end, it was the right decision. 2001: José Carrión’s entrepreneurial venture was founded under the name of Carrión & Laffitte, Inc. with two principal partners, Carrión and Rafael Laffitte, and five employees. 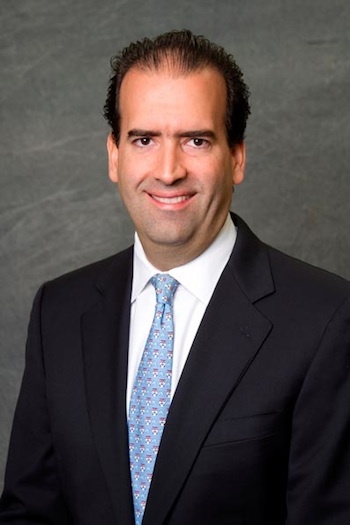 2004: The company merged with CF&O Insurance Brokers and changed its name to Carrión, Laffitte & Casellas, Inc. Antonio Casellas joins Carrión and Laffitte as a third principal partner. The merger results in a revenue growth of approximately 45%. The combined company has a total of 15 employees and revenues of around $4 million. 2008: With a compounded annual growth rate of approximately 18%, the company grows to more than $9.2 million and becomes the largest locally owned insurance broker in Puerto Rico, with a staff of 45 employees. 2012: With revenues in excess of $13.8 million, the company is acquired by HUB International Limited and becomes HUB’s “hub” for the Caribbean region. The firm’s original partners are now in charge of the growth of the company in Puerto Rico and the Caribbean region. HUB International is the holding company of HUB CLC, Inc., which I am the president of. My main responsibility is covering the Caribbean and reporting to the head of the Latin American Region. HUB International is special because it was founded and run by insurance people who are entrepreneurs and who have built their individual businesses. Together, we are building a multinational company that enables us to become trusted advisors to our clients. I enjoy getting to know my clients and their businesses, but this work does have its challenges. Managing expectations and difficult claims can be challenging, but both are an intrinsic part of servicing complex lines of business. There are many reasons why I chose to become an entrepreneur, the biggest of which had to do with being unhappy and overcoming a major life challenge. When confronted with major health issues, one tries to seek happiness and improve their quality of life if they survive the struggle. Having confronted and overcome Hodgkin’s lymphoma, it became important to me to find meaning in my work. I was not happy in my previous job and that moved me to start my own business. Those who want to be entrepreneurs have to listen to themselves and find their own personal motivation. Fear of failure is normal—and not just for entrepreneurs. It only becomes a real problem when we let fear define us. You must have faith in yourself and believe you will prevail in the end. As an entrepreneur, it’s also important to understand that success comes when you surround yourself with the right people. I am very proud of our employees, my colleagues, and my former partners. The camaraderie and the friendship we share have been critical to my personal success and to our collective success. I actually believe it’s best not to know too much before jumping into your own business, otherwise you may feel discouraged to pursue entrepreneurship. To a certain degree, I think high self-esteem and some ignorance is required to be a success. My goal moving forward is to help management grow the company by growing our business in Puerto Rico and the Caribbean. I’m envisioning HUB CLC, Inc. becoming one of the largest brokers in the Caribbean and an integral part of HUB International’s success.